i think the guys that run the game need decide some stuff and let players post toward that direction ..
look ele/druid now mostly bm skill spaming and both are played as caster only ofc 99% of ppl went druid coz same ''role'' and gameplay.. The funniest thing is most agree druid is a shapeshifting class (and it happens the forms be physical only) and what they suggest makes the forms even more useless,is really funny. Agree completely. Experience with a class does make a difference, but being good at something and having knowledge of something are two different things. Putting one or a few people in charge will probably end in bias suggestions or popular suggestions by people that may not know what they're talking about. but you have played long enough to where you understand where the cclass should be right? and you still play right? because whatever has happened up until now obviously isn't working well. You just said yourself most of the suggestions don't even seem right. So question is, who does know what they are talking about? And then why shouldn't these few/however many make decisions for the class mainly with the community backing it. Edited by Syre, 20 February 2013 - 10:19 AM. all i know is i started play this class coz of shapeshifting but the forms are kinda useless for pve and in pvp u almost never use except for stun in dg (and on rare cases inferno which u can prolly do without) so it the end is just an aoe caster class with pointless skills that make u op?.? Edited by Syre, 20 February 2013 - 10:51 AM. They're in the week 2 thread, for the most part Sevvy. Moving Raging Strike to Druid and Invisible Arrow to Elementalist and a little modification on fairy's protection. 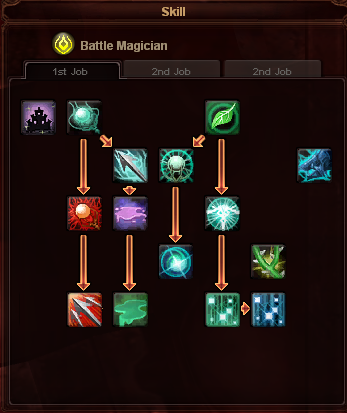 Instead of defense this skill could be a resistence buff since there will be radiants in the party (in case of Tank Build this skill would be good in my point of view). Instead of attack speed buff could make it a physical damage buff for inferno and maybe change the name to Robust Arms. In case someone decide to go AA build, swift arm and swift leg could be merged in one, could change the name to Swift Body increasing movement speed and decreasing attack speed at the same time! 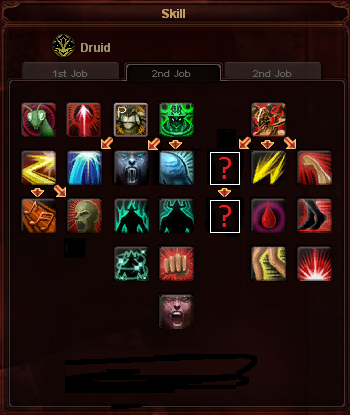 Since druid "lost" Approach, would be nice give this skill a boost, decreasing its cooldown ( 16 seconds to 8 seconds) and making it a target skill like Rush from commander with no DNA required or just decrease its cooldown idk. 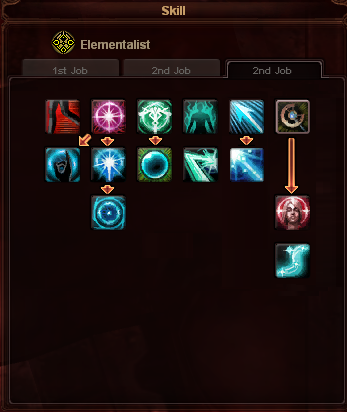 Now a elementalist exclusive stun. Skill Downtime with DNA* 35? 32? 29? 26? 23? 20? 17? 14? 11? 8?